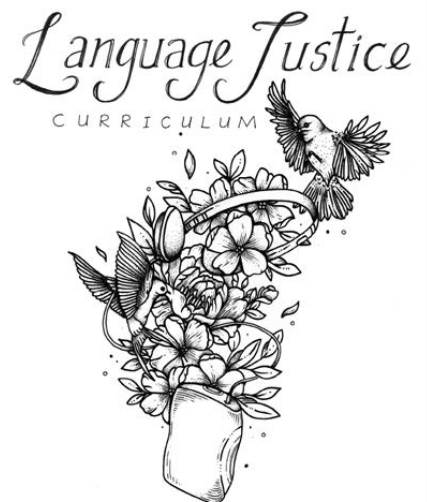 This Language Justice Curriculum is CPC’s way of bringing together years of workshops, trainings, games, conversations, practice sessions, and on-the-ground interpreting. This curriculum is targeted to interpreters and people interested in interpreting who want to understand language justice or interpretation in a social justice context. Each chapter represents a practice session which is about 1½-to 2-hours long and contains a welcome and warm-up, time for analysis and practice, and a closing. CPC’s work is rooted in popular education and values healing spaces, and you’ll see that reflected in the curriculum, too. This toolkit is in English and uses examples in Spanish. Please, feel free to add, change, or modify each session. Click here to purchase the print version of the curriculum. And check out the accompanying videos in our online Language Justice Interpreter Toolkit. The Language Justice Curriculum was made possible with support from the Fund for Democratic Communities.